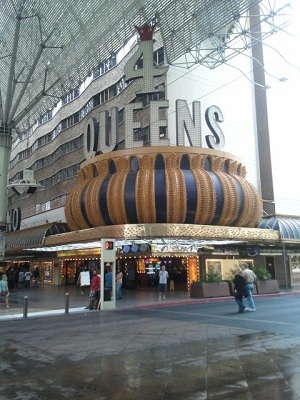 Like most Four Queens Hotel and Casino is like most of the other Downtown Las Vegas Hotels in the fact that They have raised the quality of Their rooms to meet the standards of the Las Vegas Strip. 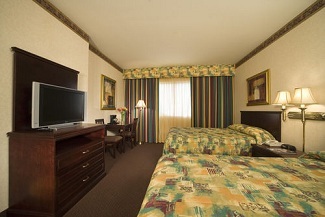 Watch the Video of the Room, it is the room I personally stayed in and was a very pleasant experience. Sports book: Not much of one. Closes early and limited bets. You can go next door or walk across the street for much better sports book. What you will find in This Casino: All the popular Slots, Video Poker, Live keno(12 seats), Keno machines, Penny slots, Electronic roulette, Black Jack, 3 card Poker, Big six, Let it Ride, Roulette, Craps, Progressive Slots. And some newer games: Ultimate Texas Hold’em. Unique to This Casino: Very good air quality in this casino. This Casino is a lot of fun, always busy. 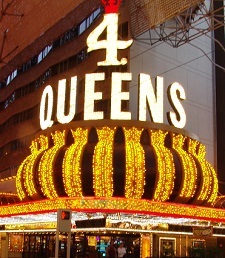 Four Queens Overall Atmosphere: good, this Casino offers very good food prices but that keeps the restaurants very crowded so be prepared to wait. But don't worry You can get that prime rib special without much wait if You put Your name on the list with the host and keep gambling, They will call Your name when Your table is ready.